Home > Square Enix > We have a release date for Dragon Quest XI in the west! We have a release date for Dragon Quest XI in the west! Square Enix has announced the release date for the hotly-anticipated Dragon Quest XI in the west; the game releases on PlayStation 4 and PC on September 4. 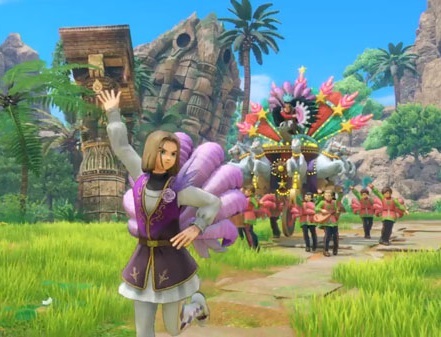 This game is so highly anticipated because it represents the first time that a single player Dragon Quest title has been on a home console since back on the PlayStation 2. Dragon Quest X is a MMO, and Dragon Quest IX was a Nintendo DS exclusive. So fans of the franchise should see something very fresh in a Dragon Quest title that takes full advantage of the power of the console. Unfortunately, while there is a 3DS port of the game in Japan, the west will miss out on that version. It's not surprising that Square Enix would skip past it, given that the 3DS is legacy hardware, but it's still disappointing. For people that do want to play Dragon Quest XI on the go, there will be a Switch version, eventually, but it's a "long way away," and we don't actually have a release date yet. So it looks like it's the PS4 for us! We can't wait to get our hands on this one.